So I was thinking, If I were doing an interview that I know could potentially get to Rihanna, and they asked me a question about her that may not get a favorable response from me, I would just pull a Kanye- Swift moment. Like, A’ma let you finish but…. runs to check my history to see if I have done what I am about to criticize her for. haha. 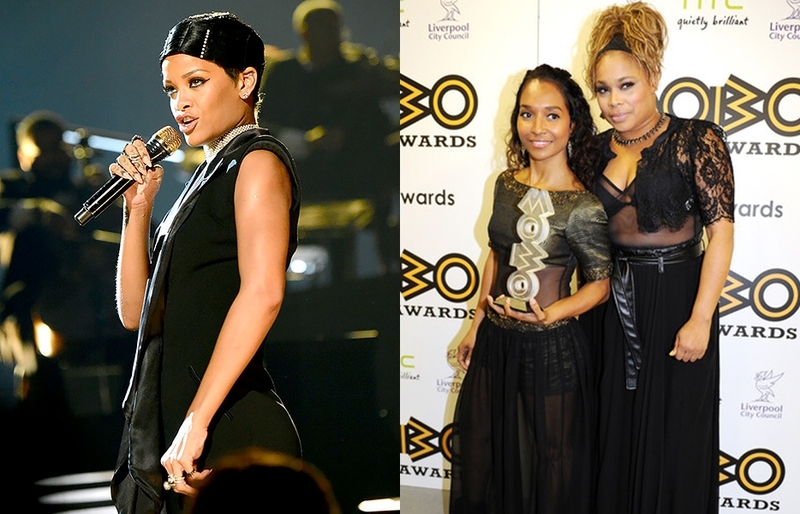 Such was the case with 90’s popular girl-group member T-Boz who in a recent interview with Australia’s Sunsrise, criticized Rihanna”s nekkid-ness!. Chai! Chai!. When trouble sleeps, you sho’nuff don’t go waking it up. Ill let you watch the video below but before that, ….. apparently Rihanna got wind of what they said and THIS HAPPENED..
Everytime I see you (she is talking bout Riri), you don’t have to be naked. And it’s hard for us to say anything cause any time we say something, it’s “TLC, oh they must be jealous!” First of all, let me say this. It is what it is. I call a spade a spade, okay? We sold and became the biggest girl selling group of all time, with our clothes on. I just can’t. Did she just call T-Boz an old thot? OUCHIES!!.. Well in the words of Queen Kenya Moore, Don’t come for me if I do not send for you.. Ahhh the drama. 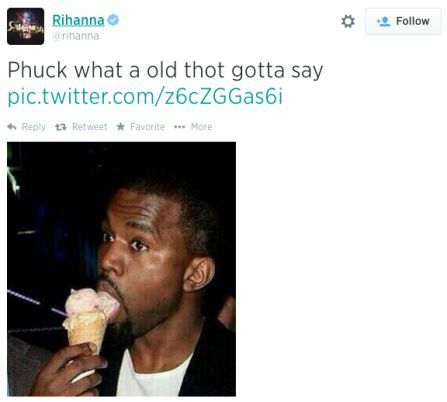 The video is next..
Rihanna stuns on Twitter — she’d never say it in public or to their faces.